As a new mom, claiming some time for yourself can be a seemingly impossible feat! That sweet bundle of joy needs you; needs your time, attention, love and energy…pretty constantly. Please know that there ARE ways to still spend some time on yourself in this 24 hour job called motherhood! Grab your stroller, your kiddo and head outside. Getting outside in the fresh air with your baby is good for your health and your mental state. If you’re craving connection with other moms, meet up with another mom from your PEPS Group, or sign up for a local stroller fitness class. If you prefer working out on your own, head to a local gym that offers childcare. Once you have approval from your doctor to begin exercise, there are lots of great workouts you can do with baby in tow. 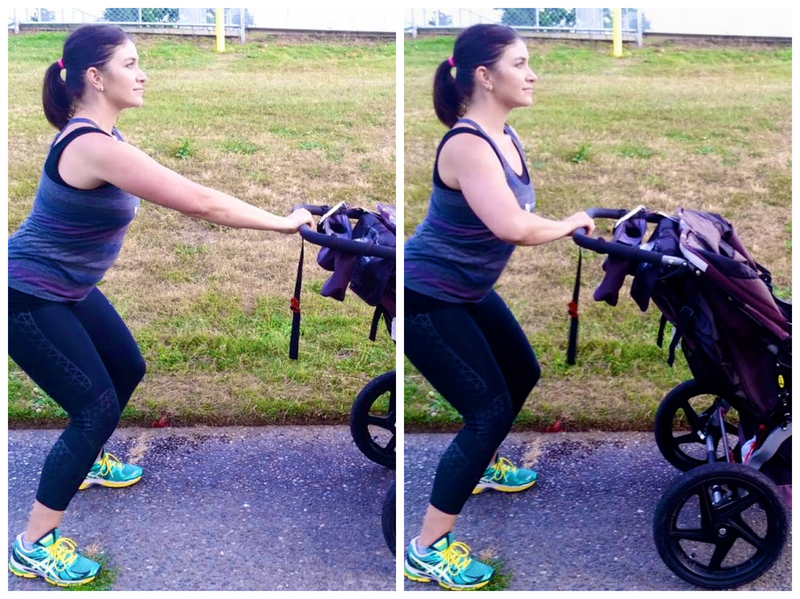 Here are four stroller exercises that will help you get your strength back! exercises for the lower body. Stand behind your stroller with the brake off, hands about shoulder width apart on the handlebars. Your feet and knees should face forward with your legs about hips width apart. Sit your bottom way back, and put your weight on your heels. 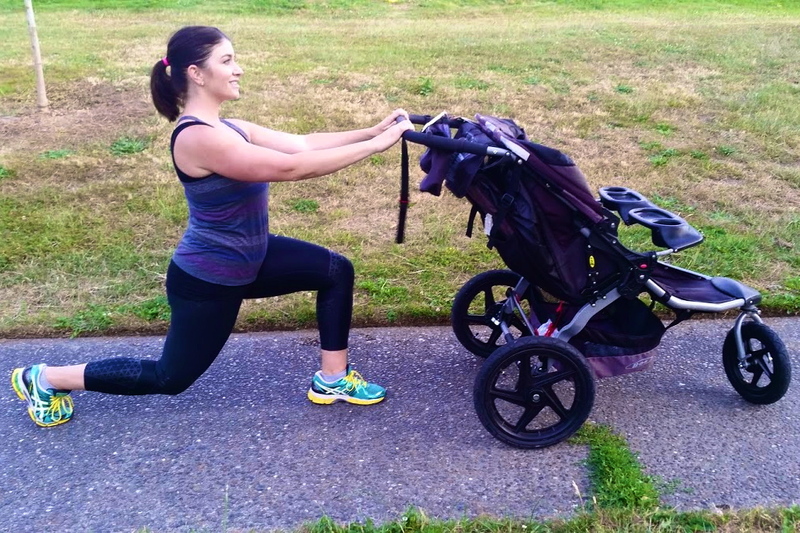 Push your stroller out in front of you as you squat down, and pull it back in as you pull yourself up to a standing position. SINGLE ARM CHEST PRESS: This exercise is best done pushing uphill. Start with the stroller just in front of you, with one hand on the handlebar and your arm bent. With your feet firmly planted use that arm to push the stroller uphill, and focus on your chest muscles as you push. Return stroller to original position and repeat about 12 times, then switch arms. LUNGE WALKING: This is another great exercise a woman can do to tone and strengthen her lower body. It’s a compound exercise, which basically means it works a lotof muscles in just one move! A good lunge willeffectively work your quadriceps (front of your thighs), hamstrings (back of your thighs) and gluteus maximus (your booty). This exercise willbe part of your walk. Lunge walk by taking really long strides and lowering your upper body down until your front thigh is almost parallel to the ground. Your front knee should not go farther forward than your toes. Lower your body slowly and squeeze your thighs and glutes as youcome back up. 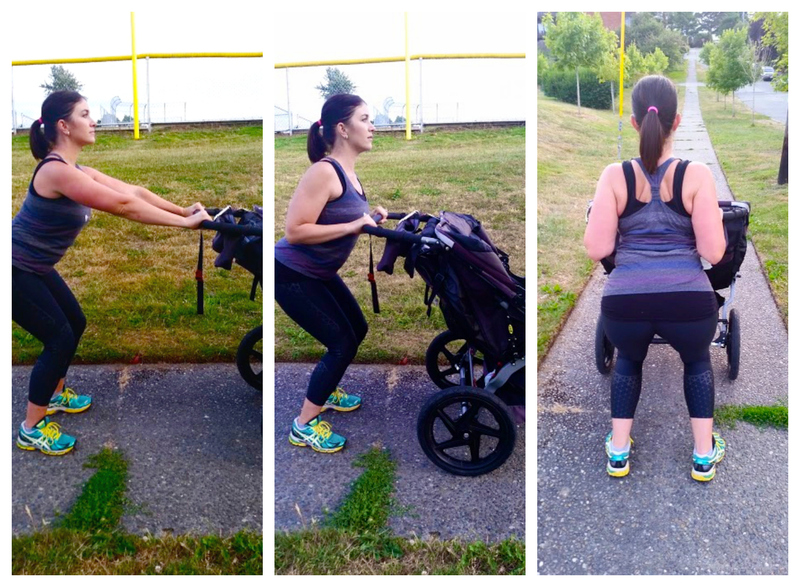 use your upper back muscles to pull the stroller back in to you. Keep your belly button pulled in tight, keep your shoulders back and focus on bringing those shoulder blades together as you row (pull) the stroller in towards your body. Add in an easy warm-up and intervals of cardio (power walking/jogging) mixed in with the above strength exercises and you have a great workout you can do with baby! Songs such as “I Like to Eat Apples and Bananas” and “Old MacDonald Had a Farm” are both great for helping you manage reps while entertaining your baby. Remember a happy and healthy mom impacts her entire family. Recognize your power, your importance and your impact as a mom and take care of yourself, because you’re worth itTake care of yourself – those beautiful children will only benefit from a happy and healthy mom. 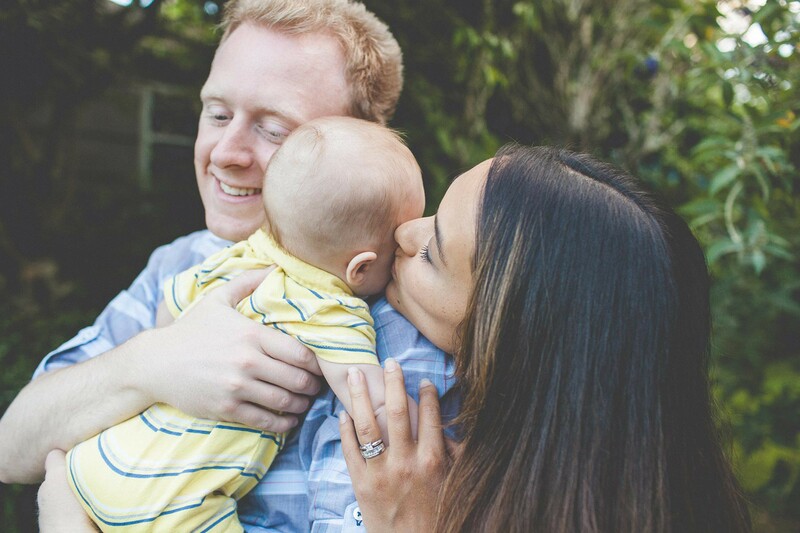 Emily Williams is the owner of the Fit4Mom West Seattle franchise. Secondary to helping moms get fit, she loves the sense of community created by bringing moms together to take care of themselves. She’s mom to two boys, ages 3 ½ and 1 ½. When she’s not picking up toys, wiping faces and changing diapers Emily enjoys shaving her legs and binge watching Orange is the New Black and The Walking Dead.